The .454 Casull round is a high powered large calibre revolver round designed to outperform the 45 Colt and 44 Magnum. 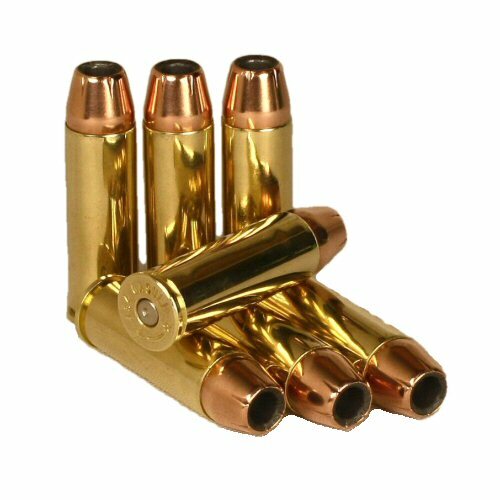 It was first released in 1998, and used in the Freedom Arms five shot Mode 83 single action revolver for effectiveness and defence against medium and large game. Large revolvers, such as the Taurus Raging Bull offer the .454 Casull chambering for top end power performance. The round is copper jacketed with a hollow point. Price is for ONE round only. The inert round is free from propellant and ignition, and can be shipped with courier (UPS) and Hermes due to postal restrictions. 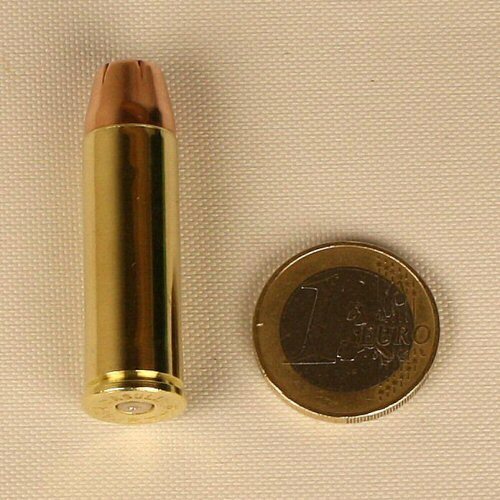 The size of the cartridge compared with a coin.